The Cherry Mobile Flare 2.0 is powered by 1.2GHz quad core Qualcomm MSM8225Q, with a internal memory of 4GB, slates 4-inch display and running Android Jelly Bean. The Cherry Mobile Flare 2.1 has the same specs with Flare 2.0 except on the their Ram. The 2.0 only 512MB RAM but the 2.1 has a bigger with 1GB RAM. 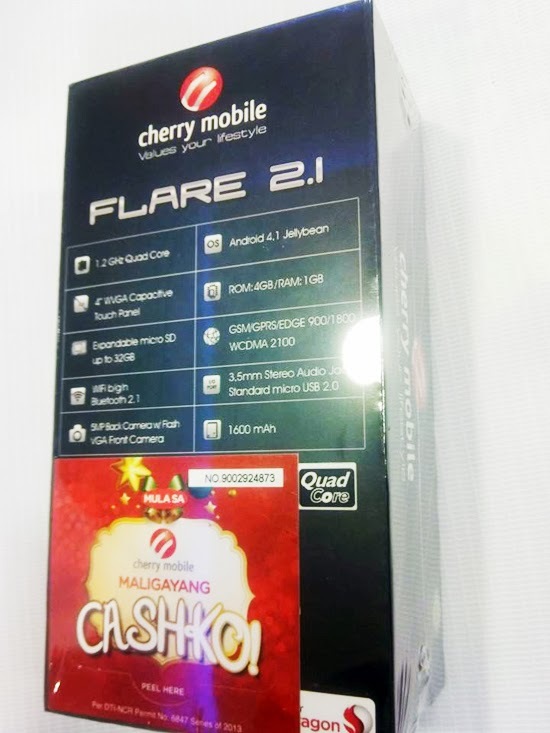 The local brand Cherry Mobile giving the Flare 2.1 for Php3,999 just like the Flare 2.0 price and only available at the SM North EDSA branch at the moment, but in few weeks for sure this will be out to more kiosks and concept stores nationwide.